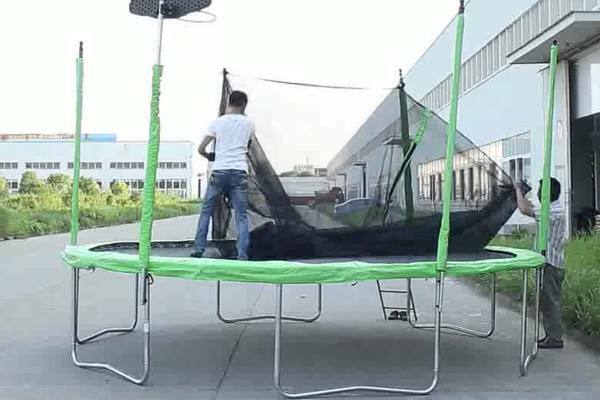 If you are like myself or many families around the world the decision of which trampoline to get always comes about. 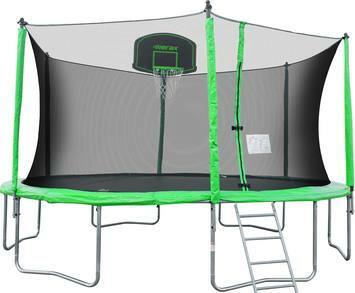 So if you have been wondering which trampoline to get I have already taken the guess work out of making that decision and done some research for you. While searching for the best trampoline on the market Merax kept popping up. So I decided to dig a little deeper into what options are available for Merax and the quality, what the consumer thinks, the pros and cons, and who the competitors are out there and how Merax compares. How Does Merax Compare to Other Brands? 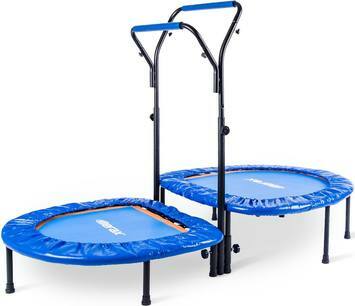 Where Do I Find a Merax Trampoline For Sale? 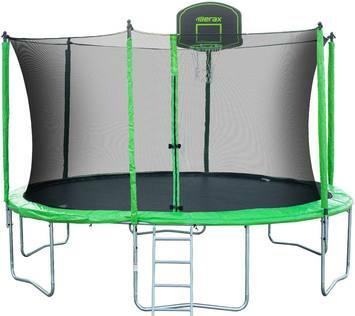 So now that you know why you should consider buying a rectangle trampoline, if you are in the market for a trampoline, we can look at some of the great options out there. Merax trampolines have above average reviews with reviews being mostly 4 stars to 5 stars. The consumers have so much good to say. Merax trampolines are affordable for any household. They are so versatile and great for kids, families, and even those who love to exercise. When searching for a trampoline I would say this Is the go to brand. Merax trampolines are good quality trampolines. They are very durable and even go past the advised weight limit. Now I am not saying you should go past the limit but it does give you a peace of mind in knowing how strong these trampolines are. When they were designing this trampoline they really covered all of the consumers potential problems. Each trampoline hides the springs very well so you don't risk getting hurt on them. The padding they use to hide the metal and springs helps out a lot with any potential scraps or snags or tears on the clothes. Not to mention when Merax was designing these trampolines they definitely kept the safety of the consumer in mind. 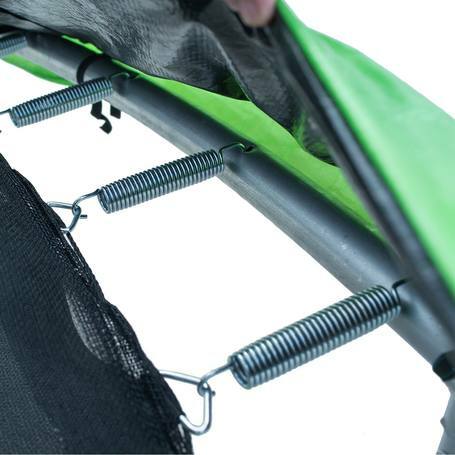 The trampolines are made with rust resistant material which offers long term use. They are extremely easy to assemble with no extra tools required. In conclusion the quality of these trampolines are very good. In comparison to other brands Merax is very affordable to every household. They seem to be a company that strives to please the consumer. They are also very versatile when designing each trampoline so you can enjoy the trampoline as well as the kids can too. Now to compare Merax and Skywalker. 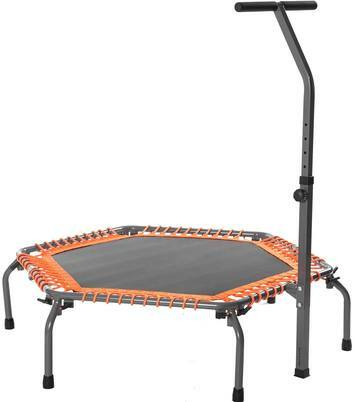 Skywalker seems to have more accessories for purchase but the overall trampoline doesn't seem to be as durable. You can find Skywalker trampolines in Rectangle, Square, or circular but you can only find circular trampolines in the Merax brand. They both come with warranties and that is something to consider when looking at trampolines. My deciding factor to chose Merax instead of Skywalker is as simple as the consumers vote. As I have been heavily researching Merax and other brands of trampolines I have come to decide that the weight limit is pretty good. Most of the trampolines can hold up to 330 pounds but this also depends on the size of the trampoline. If you are considering a trampoline for a toddler than of course the weight limit is going to be a bit less but even then the weight limit is 120 pounds. What I like most about the Merax brand is that they stand behind their product. You can even order it where a professional will come out and assemble it for you. This would be the option I went with if I were you. However if you don't want to spend the extra money doing that it is very easy to put together. Some people had small difficulties and when they called the customer service line they were taken care of. Weight doesn't seem to be an issue on these trampolines based off of reviews. One lady even said her grandson lost weight which was pretty cool. Some things I didn't really like about this brand was that I noticed a few consumers wrote reviews saying after using it some of the parts broke. Also some of the consumers felt as if it unstable for more than two adults at a one time. ​Not being able to pick if I wanted a round or square trampoline was kind of a bummer too. The shipping weight is right around fifty six pounds and if you aren't able to life much then this would inconvenience you if you needed to ask for help. The ending verdict is if you are thinking about getting a trampoline you should chose one from Merax. Merax has outstanding customer service. If you have the trampoline and a leg breaks or something happens they will replace it. That alone is enough to sway my decision. 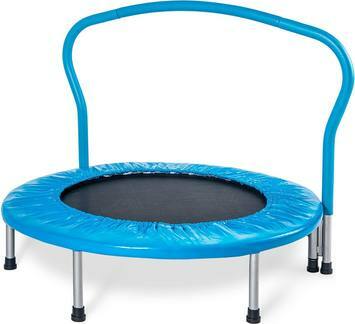 Go to Amazon.com and you can find your Merax Trampoline today. If you have been considering a trampoline now is the time to get one. You can also go to Google and type in Merax Trampoline. Shop around and find the best bargain for you and just remember you have so many options that could be right for you. Maybe you should even consider getting a few one for indoors and one for outdoors. Treating you and the family to a Merax Trampoline will create so much laughter and joy in your home.